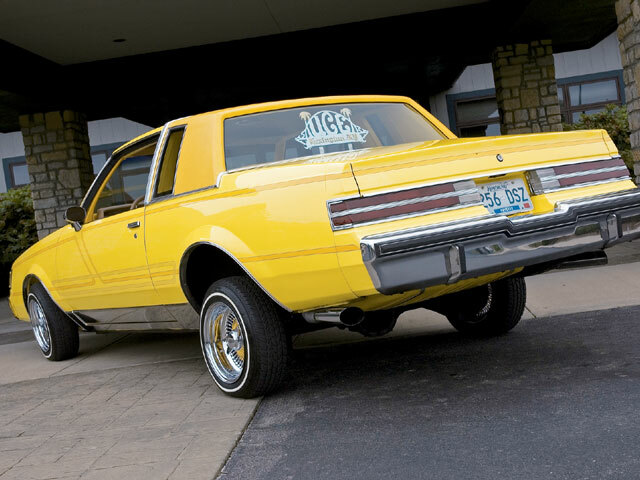 This Bright Yellow Regal Will Have You Putting On A Happy Face. Asked why he named his car “All Smiles,” 24-year-old Jesse Smith of Lexington, Kentucky, answered, “Because when you see the car, you smile.” This happy-go-lucky young man adds that he always wanted a Buick Regal, and was more than happy to plunk down the greenbacks necessary to make this lemon yellow ’84 Regal his sweetest creation to date (Jesse’s already owned an ’85 Olds Cutlass Supreme). Just 24 and already on his second or third high-profile lowrider, Jesse says that he’s been into the scene for 10 years. They start ’em out young in these parts. “My interest in cars and lowriders came from the influence of Billy Hobbs,” he informs us to give credit where it’s due. Jesse’s mom and dad and the “Uce C.C. family” also merit special thanks. 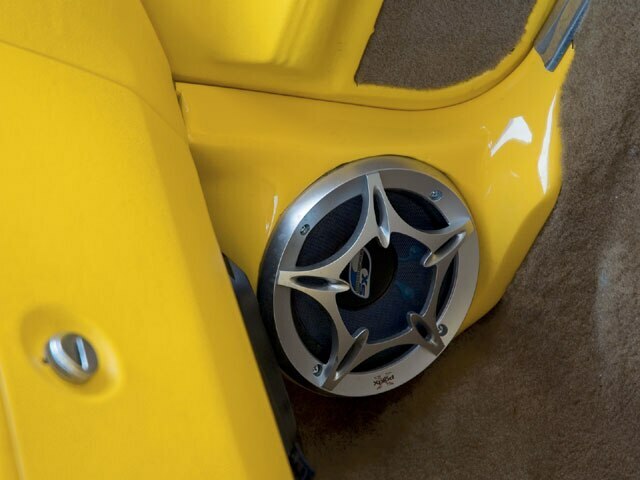 There’s much to make one happy with All Smiles, from the three-stage House of Kolor lemon yellow pearl paint job to the chrome suspension components (thanks to Fayette Plating). Jesse performed much of the work himself at G&S Autobody in Lexington, and he couldn’t be happier with the results. In fact, he’s all smiles his own bad self. All SmilesOwner: Jesse SmithVehicle: ’84 Buick RegalCity/State: Lexington, KentuckyClub: Uce C.C. 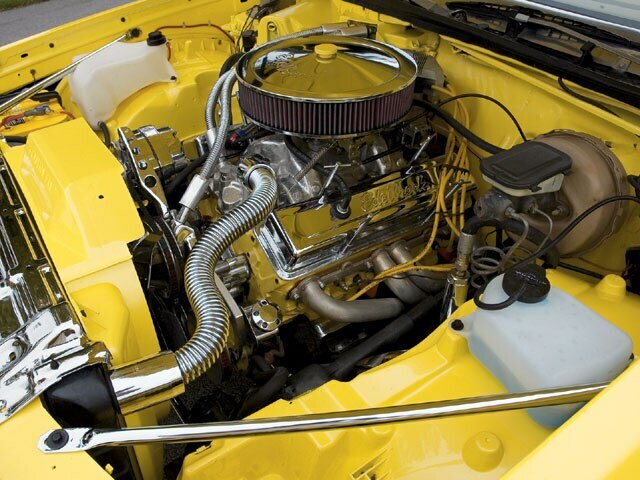 Engine/Drivetrain: A chromed-out Chevy 350-c.i.d. engine bored .030 over and mated to a Flowmaster exhaust system and 350 Turbo transmission is plenty to smile about. 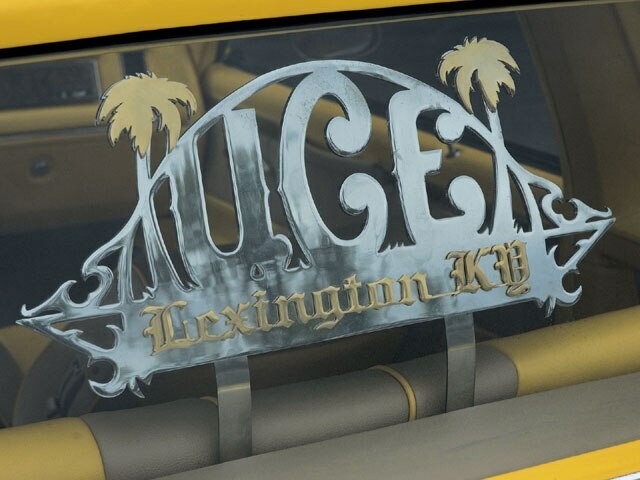 Body/Paint: Jesse and Keenan Granville of G&S Autobody in Lexington teamed up on the body work and the House of Kolor lemon yellow three-stage paint job with white and gold ice pearl and pinstriping. 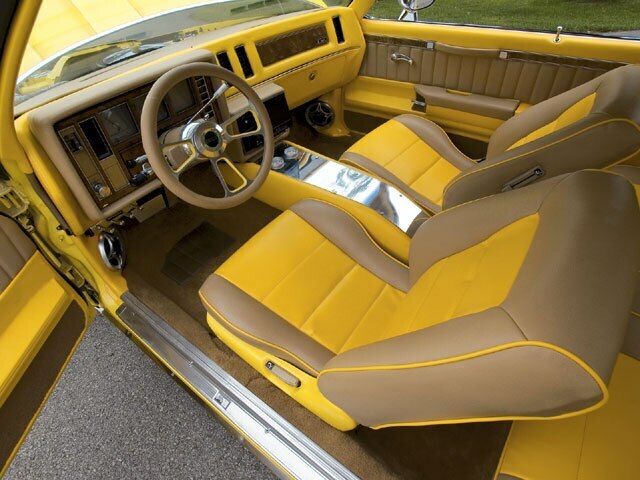 Interior: G&S Autobody and Staple & Stitch Upholstery in Lexington both worked on the heavily modified tan and chrome yellow interior with custom console and kick panels. 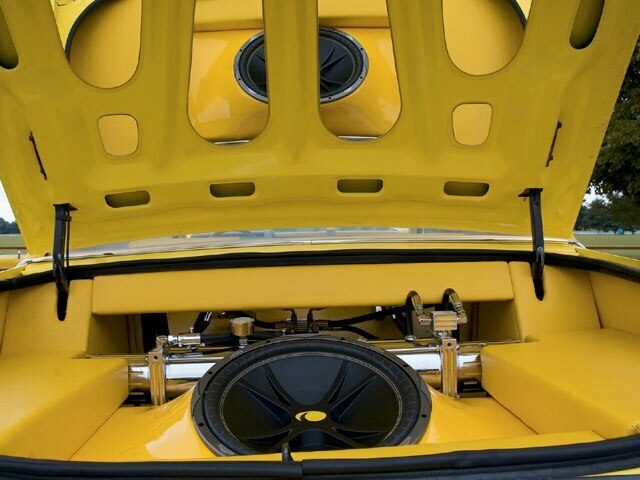 Sound System: A 7-inch flip-out TV, 800-watt Kicker amp, Crossfire mids and highs, and 15-inch Kicker subwoofers highlight this audio/video lineup. Setup: The guys at G&S Autobody and TIS in Lexington all had a hand in the two-pump, six-battery Stanley Staton hydraulics setup installation and suspension reinforcement.